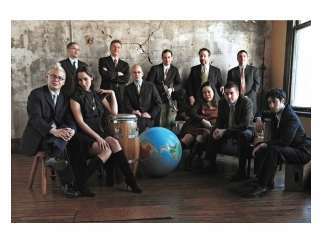 Pink Martini was formed in 1994 by aspiring Portland politician Thomas Lauderdale, who got the idea to provide more entertaining, uplifting music at political functions for causes such as civil rights, education, public broadcasting and more. A year later, Lauderdale called on former Harvard classmate China Forbes to join the band, and together they began writing songs together for the "little orchestra." Since then, the group has been known for drawing its inspiration from a myriad of sources, including romantic Hollywood musicals of the '40s and '50s, and a multilingual repertoire of diverse genres like jazz, Latin, lounge and classical, all shaken and stirred with cinematic influences, driving rhythms and exotic vocals. 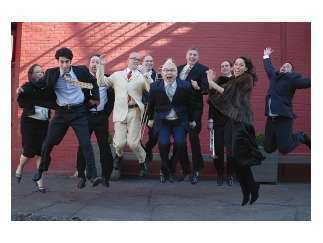 A typical Pink Martini concert spans the globe, from Cuban rumba and Parisian cafe tunes to Carnival disco.